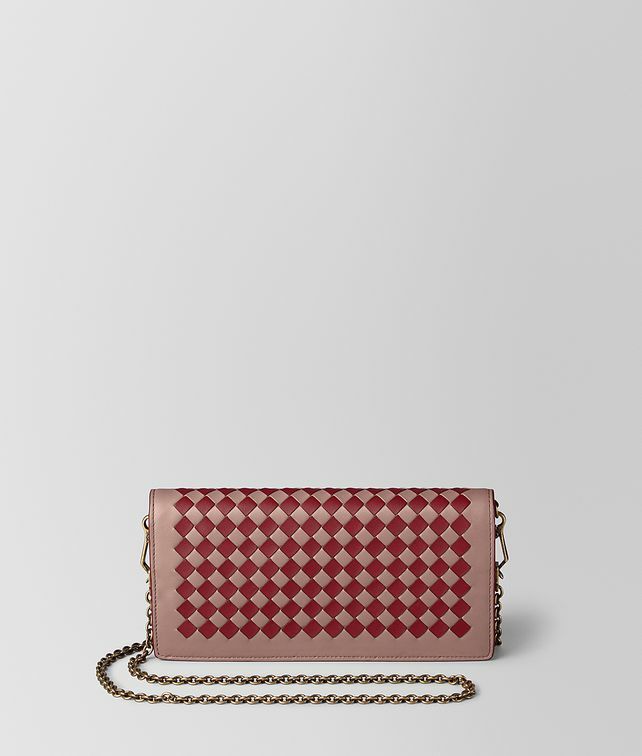 This compact chain wallet is hand-crafted from nappa leather in our graphic Intrecciato Chequer workmanship. The versatile essential can be carried as a clutch, worn cross-body with the detachable strap or stowed in a larger bag. Fitted eight credit card slots, a compartment for notes and a zip pocket for coins or small valuables. Hardware: Dark Gold, Brunito finish Height: 11 cm | 4.3"